English novelist G. A. Henty (1832-1902) prided himself on the accuracy of his novels, so how did a man who never set foot on Australia’s shores write a believable book (A Final Reckoning: A Tale of Bush Life in Australia) about colonial New South Wales, a book peppered with stories of bushrangers, border police, white settlers and Indigenous Australians? The answer? ‘His method was simplicity itself. When he had decided upon a subject he sent to the London Library for a batch of books dealing with the period, and read it up’ (‘Anglo-Australian Notes’, The Express and Telegraph [Adelaide], 26 December 1902: 4). The London Library: © Copyright Bill Johnson. Licensed for reuse under Creative Commons Licence. 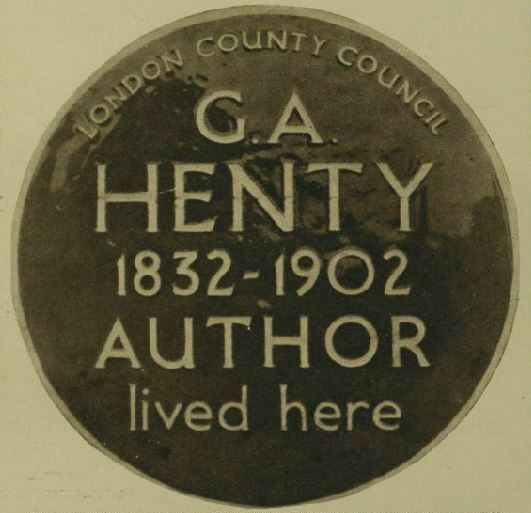 Henty was one of a sizeable cohort of literary figures (including George Eliot, Arthur Conan Doyle and Henry James) who were all members of The London Library. 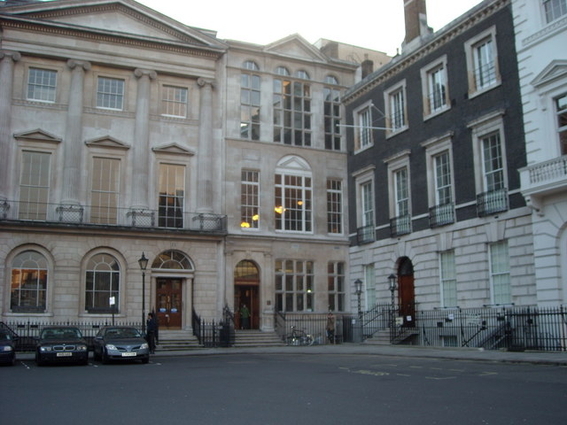 The library opened at 49 Pall Mall in 1841 and moved to its present location in St James’s Square four years later. The library’s borrowing records for the 19th century are scant and there remains no information on the specific books Henty borrowed, but a glance through the library’s printed catalogue from 1888—a year or so after Henty’s Australian novel was published—provides some clues about the books he may have had sent to his address at 103 Upper Richmond, Putney. Henty probably consulted William Westgarth’s Australia Felix (1848) and William Howitt’s A Boy’s Adventures in the Wilds of Australia (1855). He may also have drawn inspiration and information from Rosamond and Florence Hill’s travel journal What We Saw in Australia (1875) and G. W. Rusden’s detailed, three volume History of Australia (1883). Having borrowed his batch of books for preliminary reading, Henty would write his story ‘with the most useful of these open in front of him’, sometimes quoting from them verbatim (Oxford Companion to Children’s Literature. 1984 edn, p. 245). ‘Writing’ in Henty’s case did not entail putting his own pen to paper. When once quizzed by a staff member from the boys’ magazine Chums, Henty explained: ‘I do not write any of my books myself. I get a man to do them for me—an amanuensis … it all comes out of my head, but he does all the actual writing’. In this manner, Henty could achieve an output of 6,500 words a day, never seeing the work ‘until it comes to me from the printers in the shape of proof-sheets. My amanuensis sits at the table, and I sit near him, or lie on the sofa, and dictate the stories which I publish’ (George Alfred Henty: The Story of an Active Life by George Manville Fenn, p. 316). Ah, the life of a 19th century English gentleman novelist! First instalment. Weekly Times, 11 April 1891: 5. A Final Reckoning was the 29th of Henty’s nearly 100 books. Advertisements for the novel began appearing in Australian newspapers in the lead-up to Christmas 1886; five years later, many of those same newspapers began a serialisation of Henty’s Australian tale. What was this Antipodean adventure about? A Final Reckoning is the story of Reuben Whitney, son of a deceased miller and shopkeeping mother. Reuben is a bright lad, hampered by his family’s reduced circumstances, but keen to learn. Just as his prospects are improving, he is accused of stealing from the home of the local squire (although the squire’s daughter, Kate Ellison, trusts steadfastly in Reuben’s plea of innocence throughout his trial). Justice prevails and Reuben is acquitted. Nevertheless, he determines to make his way to Australia for a fresh start. 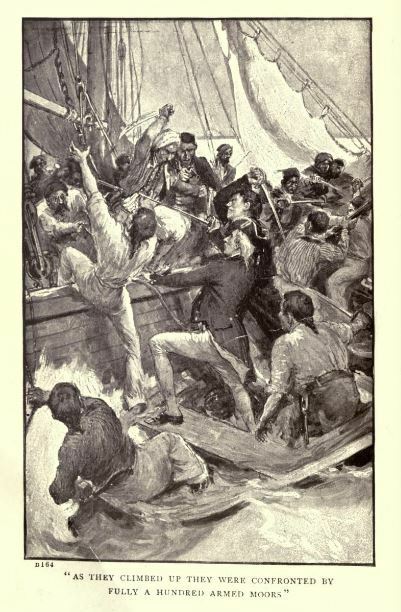 Reuben gains passage on a Sydney-bound ship carrying convicts, wardens, marines, and a handful of paying passengers. An act of bravery on his part, while the ship is docked in Cape Town, leads to an offer employment at journey’s end. Reuben joins the New South Wales police and is tasked with protecting white settlers from the dangers of ‘natives’ and bushrangers. Among those he ultimately protects is the English squire’s daughter (now resident in New South Wales with her married sister). Reuben wins Kate’s hand in marriage, settles in Sydney, and becomes one of fledgling city’s leading citizens. After 20 years, he sells up, returns to England, and buys an estate near Lewes, a short distance from his childhood home. What sort of colonial scene does Henty paint in A Final Reckoning? There is evidence in the novel that he has ‘done his homework’ (minor contradictions and errors aside). The book was dictated to Henty’s amanuensis in 1886, but the novel is set some 40 years earlier. Henty uses localised colonial terms such as ‘squatter’, ‘ticket-of-leave’, ‘bushranger’, ‘native tracker’ and ‘black gin’. There is even a variation of the classic children’s ‘lost in the bush’ tale. Reading the book for the first time from a 21st-century vantage—as I was—it is Henty’s depiction of Indigenous Australians that is most discomforting. Some examples from the text will point to what I mean. Before leaving for Australia, Reuben tries to persuade his mother to accompany him. She refuses outright: ‘I am not going to tramp all over the world’, she says, ‘and settle down among black people in outlandish parts’ (94). The local schoolmaster attempts to soften her view: it is ‘not so bad a place as you fancy … Besides, every year the white population is increasing and the black diminishing’ (95). On his arrival in New South Wales, Reuben’s ‘education’ is furthered by the colonists. He is told that ‘the natives are nearly all thieves’ (118) and that they ‘seldom stand up in a fair fight’ (175). They ‘kill from pure mischief and love of slaughter’ (198), they are cannibals (225), and have little or no regard for life’, except for those to whom they are attached (299). Native trackers, Reuben learns, ‘have the instinct of dogs’ (176) but, if treated well, ‘they get attached to you [and] are faithful to death’ (178). 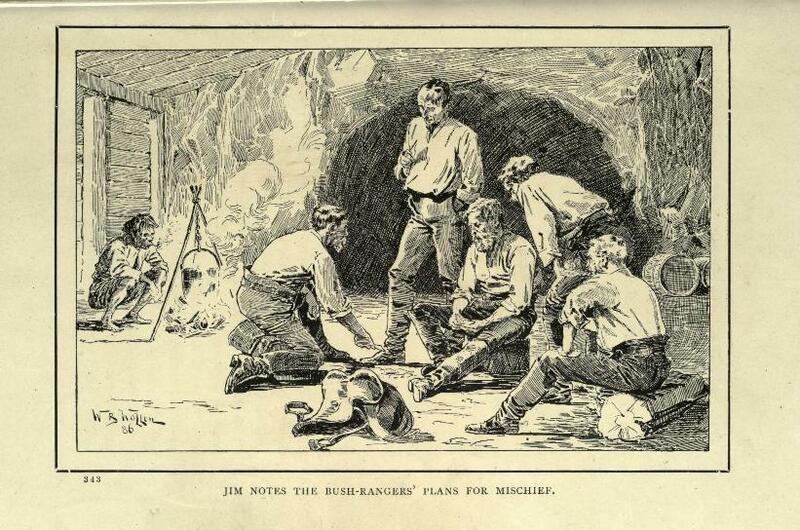 One tracker, called ‘Jim’, works clandestinely among the bushrangers on Reuben’s behalf. Jim’s presence within the group is dismissed by the outlaws: ‘he minds us no more than if he had been a black monkey’ (304). 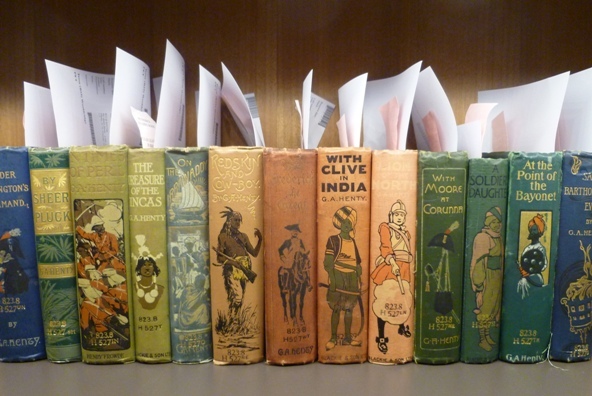 Henty’s books were read widely across the British Empire, well into the 20th century. Apparently they even reached the bookshelves of Adolf Hitler (‘Hitler’s Taste in Books.’ Morning Bulletin, 30 Jan 1943: 2). If he read them, I suspect the Fuhrer would have found nothing in Henty’s novels to disabuse him of his belief in racial superiority. My thanks to Helen O’Neill, Archive, Heritage & Development Librarian at The London Library, for digging into the library’s records for traces of G. A. Henty. Henty, G. A. The Final Reckoning: A Tale of Bush Life in Australia. London: Blackie & Sons, 1887. (Full text available on various internet platforms including the Internet Archive, Project Gutenberg, The Literature Network and the International Children’s Digital Library.) Quotations and in-text illustrations reproduced in this blog post are from the Internet Archive’s digitised version. The latter part of Henty’s life was spent at 33 Lavender Gardens, Battersea. A London County Council Blue Plaque acknowledges his residence there. A selection of G. A. Henty titles from the National Library of Australia’s collection. It’s the opening decade of the 20th century. Right across the British Empire, boys are filling their heads with imaginings of adventure and fighting and war. They are supping at English author G. A. Henty’s fictional table and they are replete. Among this squadron of imperial boy readers is a troop from the Australian colonies. Let’s picture one of these colonial lads; we’ll call him Tom. It’s December 1908 and Tom is 11 years old. He receives, as his end-of-year school book prize, a copy of Henty’s By Conduct and Courage: A Story of the Days of Nelson. The Sydney Morning Herald, 12 December 1908: 18. Perhaps Tom, or his brothers, had received other Henty titles over the years and this new book will be added to the family collection. (Imagine there are copies of Under Wellington’s Command: A Tale of the Peninsular War and With Kitchener in the Soudan already on the shelves at home.) 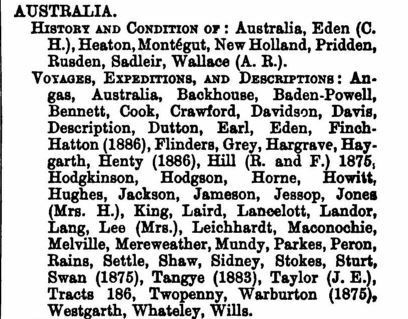 Suppose, too, that Tom’s father, who had read serialisations of Henty tales in the newspaper when he was a boy, has borrowed a Henty title from the local Mechanics’ Institute. The lad’s father recalls devouring The Young Colonists: A Tale of the Zulu and First Boer Wars when he was Tom’s age. Now he plans to share it with his son. Frontispiece. By Conduct and Courage: A Story of the Days of Nelson. Tom reads Henty fictions as if they are historical fact; he is convinced by the author’s declarations of careful research. He imbibes the Henty philosophy—boys should grow up to be ‘bold, straightforward, and ready to play a young man’s part, not to be milksops’. He also absorbs Henty’s ‘horror of a lad who displayed any weak emotion and shrank from shedding blood, or winced at any encounter’ (Fenn, p. 334). What effect do these narratives have on Tom’s emerging sense of self? Maybe he pictures himself, in a bygone time, standing beside Nelson on the Victory, or with Wellington in Spain or Kitchener at the Battle of Omdurman. Tom’s understanding of the world, and his potential role in it, is being forged by Henty. Now jump forward seven years to 1915. Tom has just turned 18 and war is talking hold on the Balkan Peninsula. Advertisements appear in newspapers across Australia imploring men to ‘enlist now!’ Do Tom’s memories of Henty’s historical tales blend readily with these fresh calls to fight for the ‘Great British Empire’? The Brisbane Telegraph. 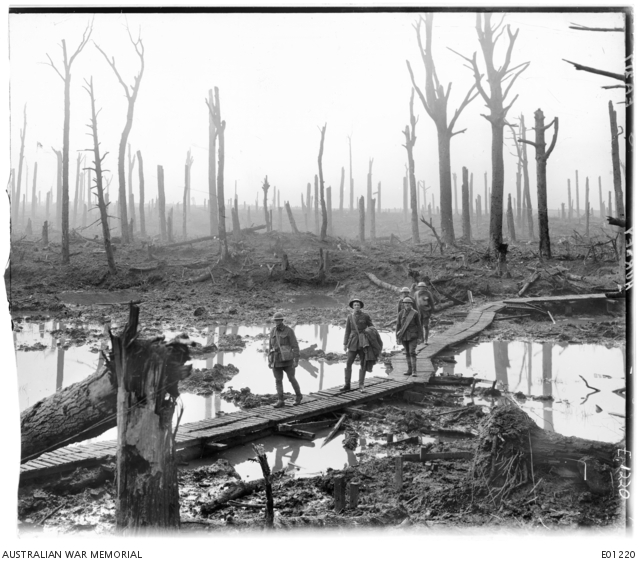 22 September 1915: 4. Henty himself certainly believed his stories had a tangible effect on his youthful readers. The author’s entry in the Oxford Companion to Children’s Literature states: ‘Some of the jingoism and enthusiasm to serve in the army that marked the beginning of the First World War is sometimes laid at [Henty’s] door, and indeed he wrote with pleasure in the Boy’s Own Paper (1902) that “officers of the Army and Volunteers have assured me that my books have been effectual in bringing young fellows into the Army”’ (p. 243). Writing from a southern hemisphere perspective in 2006, Angela Woollacott, in her book Gender and Empire, argues that Henty’s stories ‘imparted to the rising generation of soldiers, colonial administrators, and citizens of both colonies and metropole a visceral sense of the excitement and importance of the empire … Generations of British and white-settler boys’, says Woollacott, learnt ‘that the empire proffered an amazing array of exciting places where they could test their mettle and prove their worthiness to family, God and country’ (p. 60). And so, in 1915, Tom and the ‘rising generation’ enlisted in the AIF—a fighting force that meshed both ‘Australian’ and ‘Imperial’ identities. Field Artillery Brigade, Chateaux Wood, 29 October 1917. Frank Hurley, photographer. In 1919, some of them came home. Were they still thinking of Henty’s valorisation of the British at war? And, if they were, might they have agreed with Henty’s biographer, George Manville Fenn, that Henty’s images of fighting were ‘here and there a little too bright in hue’ (p. 321). As I was writing this Henty instalment, I happened to read the transcript of an address delivered at a higher education conference in March 2017 by Jeffrey Bleich, US Ambassador to Australia, 2009-2013. In the course of his talk, Bleich reminded his audience of the changes wrought by the second Industrial Revolution during the period 1875 to 1915. ‘It fundamentally transformed how people live’, he said. Like the ‘disruptive technologies’ of the current Digital Revolution, these rapid and extensive changes left much of that earlier population with feelings of uncertainty, disorientation and anxiety. 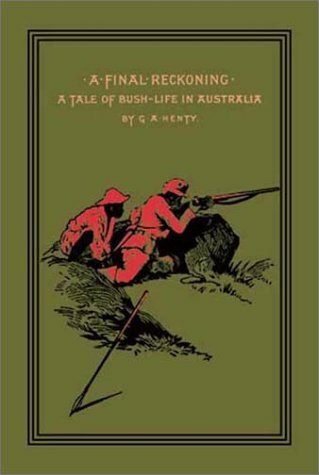 Bleich’s observations made me wonder whether those Australians who went to fight for Empire in 1915 ultimately discovered that they were fighting for a world that had already past—just like the worlds in G. A. Henty’s novels. 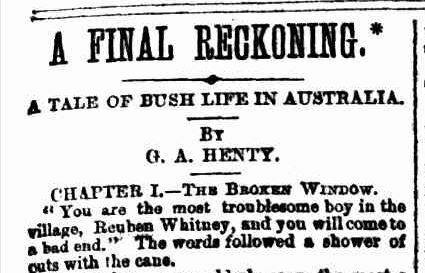 The third (and final) part of this reflection on G. A. Henty will take a closer look at Henty’s only Australian novel—A Final Reckoning: A Tale of Bush Life in Australia. First instalment of serialisation. Weekly Times (Melbourne), 11 April 1891: 5. ‘For Xmas, 1908—Book Dainties—For New Year, 1909.’ The Sydney Morning Herald 12 December 1908: 18. 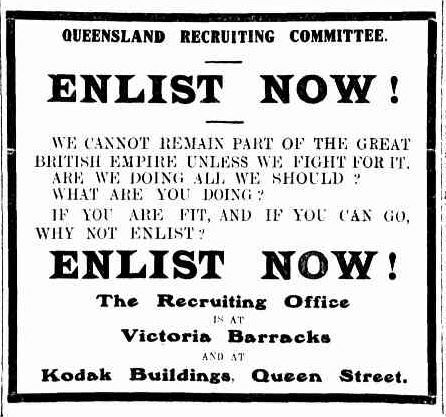 ‘Enlist!’ The Telegraph (Brisbane) 22 September 1915, p. 4. Fenn, George Manville. George Alfred Henty: The Story of an Active Life. London: Blackie & Sons, 1907. The Oxford Companion to Children’s Literature. Oxford University Press, Oxford: 1984. Woollacott, Angela. Gender and Empire. Basingstoke: Palgrave Macmillan, 2006. Jeffrey Bleich, Higher Education Conference Keynote Address, 1 March 2017. A Final Reckoning. First instalment of serialisation. Weekly Times 11 April 1891: 5. The Henty novels mentioned in this post, along with many more, are available at the National Library of Australia; to see a list of these, click here. The full text of a number of Henty novels is available via the Internet Archive. These texts include By Conduct and Courage, With Kitchener in the Soudan, Under Wellington’s Command and The Young Colonists.